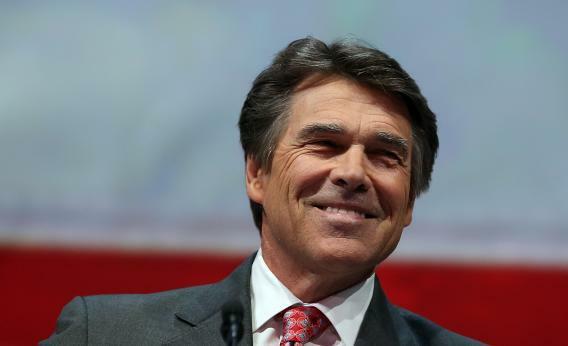 Mansplaining the Mansplainer: Rick Perry's accidental abortion honesty. Texas Gov. Rick Perry thought he was complimenting state Sen. Wendy Davis, but that’s not how half of Twitter took it. The National Right to Life Convention happened to take place in Dallas this year. Gov. Rick Perry happened to be recuperating from a special legislative session where a push for a broadly drawn abortion-limiting bill had been brought down by pro-choice activists and Sen. Wendy Davis’ filibuster. So he talked about that. She was the daughter of single woman, she was a teenage mother herself. She managed to eventually graduate from Harvard Law School and serve in the Texas Senate. It’s just unfortunate that she hasn’t learned from her own example that every life must be given a chance to realize its full potential and that every life matters. Cue the controversy. Davis has condemned Perry, as has half of Twitter, for the crime of Mansplaining. It’s actually pretty clear what Perry meant—he was riffing, by the way, not using prepared remarks—and that he thought he was paying a high compliment. But he revealed much more than he meant to. First, what he meant. Wendy Davis was indeed a single mother at age 19, something she’s told voters as she’s campaigned for election and re-election. She went to community college and eventually worked her way to Harvard Law. All true, very inspiring. Perry’s not attacking her lifestyle, not in his mind. But he’s stepping on his own message about the abortion bill. In the same speech, he promised that Texas “will ban abortion after 20 weeks.” That’s smart—abortion bans after 20 weeks are very popular. According to Gallup, 61 percent of Americans are OK with legal abortion in the first 12 weeks of pregnancy, but the support falls to 27 percent for abortions in the second 12 weeks. Abortions after 24 weeks (excepting medical emergencies) are flat-out illegal. The Texas bill fits snugly into the penumbra, promising voters that the abortions that will be banned are those that take place when the fetus becomes viable outside the womb. Those abortions represent a sliver of all abortions. Actually, around 88 percent of all abortions are performed in the first 12 weeks of pregnancy. And we know what the circumstances are in most of these cases. Women discover that they’ve gotten pregnant, and quickly get abortions. Like it or not, society tolerates that. It doesn’t like to talk about it, but it’s aware that young women get pregnant by accident and terminate the pregnancies before they have to think about altering their lives by bringing in a new one. In theory, the Texas bill wouldn’t affect this. Right? Well, no—the bill would impose new standards on abortion clinics that, by general agreement, would shut down all but five of the 42 clinics operating in the state. Right now a woman who gets pregnant in Midland or Lubbock is fairly close to a clinic. Change the standards, and she’s at least 200 miles away from the clinic. And it’s not like those clinics only perform abortions. Texas is a pro-life state, and Perry probably doesn’t need to soft-talk the clinic restrictions in order to pass his bill. But the fact is that a bill that “bans abortion after 20 weeks” sounds better than a bill that “makes it harder for women to get abortions, even if they’re three or four weeks pregnant.” Perry said too much.